Recently I happened to find myself in the vicinity of a small village called Edwinstowe in Nottinghamshire. Being on the edge of Sherwood Forrest it was managed to develop a decent if small scale little tourist industry focused around it’s main claim to fame. That claim to fame is the links with the Robin Hood legend. A church was founded here in AD 633 and the current building was begun in 1175. Legend has it that this building is the very same that Robin and Marion got married in. 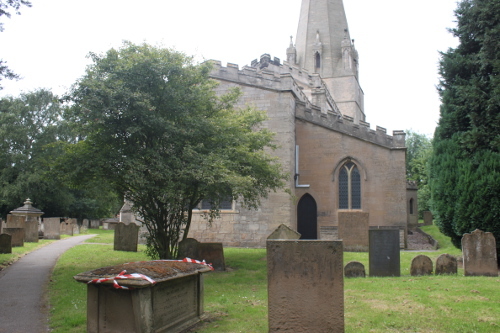 Edwinstowe is also the Parish in which the Major Oak Tree lies which all Robin Hood legend fans will recall was used both as a rendezvous location for Robin and his merry men but also possibly as a hiding place by his band. 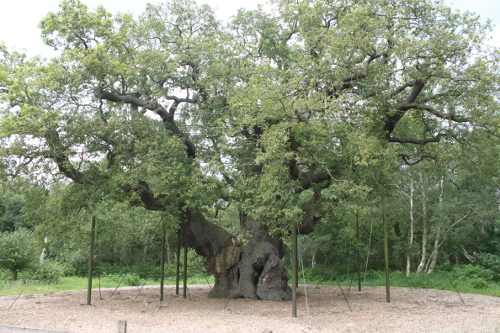 The current tree (voted as the one of the most beloved in Britain) should probably be called The Major Oak II. It is certainly impressive – weighing they estimate 23 tons and probably over a thousand years old. It also has those enchanting cracks and chasms that might just hide an outlaw or two. However in circa 1195 when Robin hood would have been active (assuming he existed of course) the current tree would have been only a couple of hundred years old and not the magnificent king of the Forrest. So assuming there was an original Major Oak (perhaps the current tree’s dad) in this area it would have been a tree which in 1195 was 800 to 1000 years old. So Robin hid in a tree that may have dated back to something like the 2nd or 3rd century when the Roman’s were still here, which is itself exciting I think. That tree: Major Oak I, if you like, stood in growing majesty throughout the passing centuries. In the year 633 it might have been witness to a band of men who hurried through the Forrest carrying the body of their dead king. 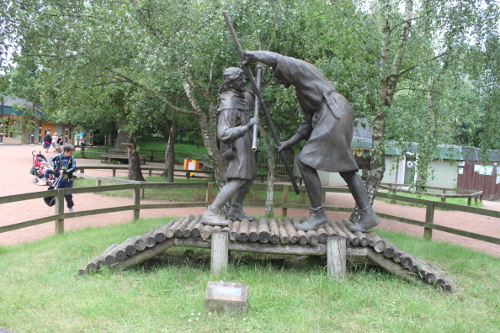 This was a certain King Edwin of Northumbria and after ruling Northumbria for about 16 years he had fallen in battle of Hatfield chase – only miles away to the north and, so the story goes, was carried away in secret so his body should not fall into the hand of the pagan Mercians and their king, Penda. Edwin’s followers decapitated Edwin and buried the body where Penda would not find it. Then they took the head of their monarch back to York, where it was buried in St Peter’s Cathedral. Some time later Edwin’s supporters were able to return for the body. It would be buried in Whitby Abbey. By now Edwin was being revered by the locals as a saint. The place where his body had lain was hallowed ground and a small wooden chapel was built on the spot. 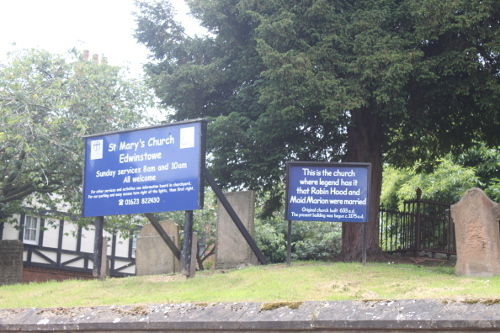 Thus Edwinstowe — or “Edwin’s place” – was born. So there you have it – a relatively obscure village is touched by history – one event leading to the village coming into existence in the first place and gaining its name. Another event 600 years later, albeit legendary, and the village has its place in history and who can blame the locals for making a few bucks out of it.